Our product range includes a wide range of a4 size laminating machine, office laminating machine and document laminating machine. 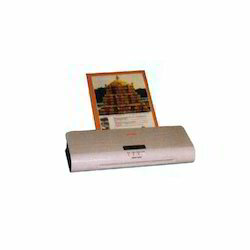 Owing to our proficiency in this domain, we are engaged in offering our clients with a wide gamut of A4 Size Laminating Machine. 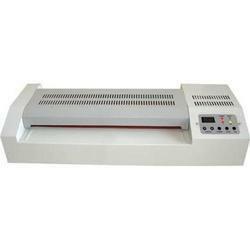 We are one of the trusted organizations, known to offer an exquisite range of Office Laminating Machine. 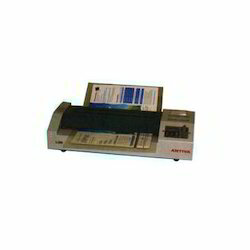 With the endorsement of our adept professionals, we are engaged in offering a qualitative range of Document Laminating Machine. Sleek design with touch panel operation for on / off switch, power & ready indicators for accurate operation. Fast warm up time for immediate use. Can laminate hot & cold without using carriers or mounting boards. Can laminate photographs and digital prints. Manual forward / reverse function for misfeed documents. By keeping the track of advanced market development, we are engaged in providing an exclusive range of Office Laminating Machine that is ideal solution for high speed laminating in high volume environments. 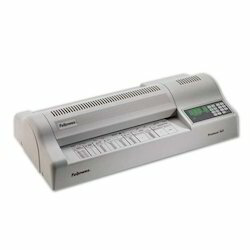 Looking for Document Laminating Machine ?